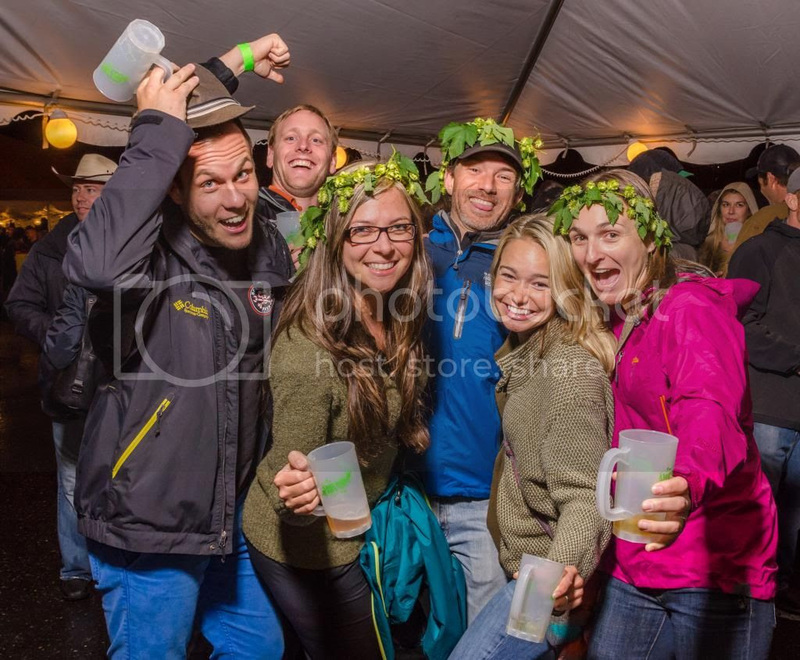 Hood River, Ore. — Hood River will play host to more than 40 local, regional and national breweries showcasing their fresh hop beers at the 11th annual Hood River Hops Fest on Saturday, September 27, 2014. With more than 65 different beers on tap, this one-day craft beer festival features one of the largest fresh hop beer selections in the nation. New to the Hops Fest this year are several local and regional breweries, including Thunder Island Brewing, Terminal Gravity Brewing and Wild Ride Brewing. They join Full Sail Brewing, pFriem Family Brewers, Double Mountain Brewery, Everybody’s Brewing, Big Horse Brew Pub, Backwoods Brewing, Solera Brewery and many other perennial favorites. “Hood River will be hoppin’ on September 27, and we’re excited to welcome all the outstanding breweries and fresh hops beer lovers to festival. With its 360-degree views of Mt. Hood, Mt. Adams and the Columbia River Gorge, we think we’ve got one of the most gorge-ous beer festivals around, and we invite our visitors to make a weekend of it,” said Mike Glover, Executive Director of the Hood River County Chamber of Commerce. Located in the heart of downtown Hood River, the festival kicks off at 11 am with a V.I.P. sipping hour, when attendees can preview their favorite ales and lagers without standing in lines. The event is open to the public from12 to 9 pm. Festival-goers age 20 and younger are allowed on site until 5 pm. Fun for the whole family, the Hood River Hops Fest also includes great local cuisine, regional arts and crafts vendors, and a day-long lineup of live music. The Mt. Hood Meadows Kids Zone features face painting, a bouncy house and the Mt. Hood Meadows Riglet. Saturday, September 27, 2014. Open to all ages from 12-5 pm, and adults ages 21 and over from 5-9 p.m. V.I.P. hour begins at 11 am (requires tickets pre-purchased online). Downtown Hood River, Ore., in the Columbia Parking Lot (between 5th & 7th Streets and Cascade Avenue and Columbia Street). The new entrance is located on Columbia Street, across from Full Sail Brewing. $10 General Admission: Includes a commemorative mug and four 3-ounce taste tokens; $1 each for additional taste tokens. $20 V.I.P Admission: Includes a commemorative mug and eight 3-ounce taste tokens, as well as early (11 am) entry into the event; $1 each for additional taste tokens. Adults and youth age 20 and under? Free admission. Note: The venue is open to adults only from 5 pm until closing at 9 pm. Tickets can be purchased in advance through Brown Paper Tickets, or at the entrance the day of the event. VIP tickets available online only atBrown Paper Tickets.